This apartment is ideally located because it is not far from the port and all the action but still distant enough to be quiet and peaceful. 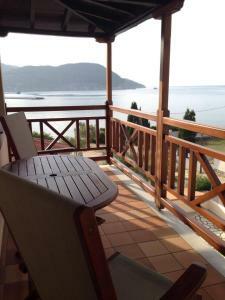 The two balconies with the view of the sea are wonderful, and the view from the window in the living room is even more stunning. The air conditioning works well, and there is daily room service. Magda, who greeted us, was extremely helpful in providing excellent tips on restaurants and activities. We thoroughly enjoyed our trip! This property is a 10 minute walk into Skopelos town centre but I liked that about it as such a nice walk, and especially good to work off a big evening meal, plus it was in a nice quiet area. It was immaculately clean and well maintained outside and inside. Cleaned every day and towels change several times in a week. The view from the top apartment is stunning and the two balconies with chairs and table are great, again with lovely views. I would thoroughly recommend this apartment, I stayed there with my two young boys. It had everything we needed. Would certainly stay there again. The staff, the view, the size, the cleanliness, everything was just right and better than the photographs. Service was brilliant. Very welcoming and the property gave you great value for money! The studio was very nice and clean. The garden well kept. Very comfortable bed. Quit area. Beautiful view. 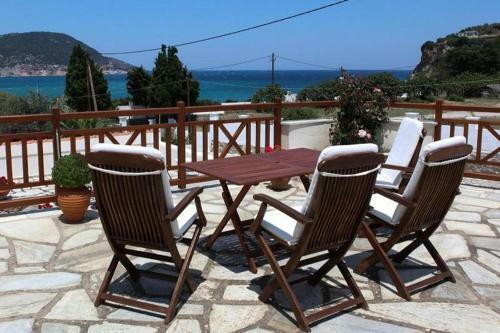 Walking distance to the Skopelos Town. 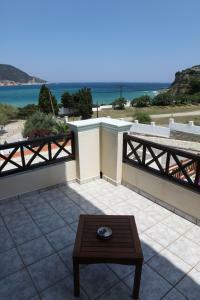 Lock in a great price for Pleoussa Studio and Apartments – rated 8.8 by recent guests! 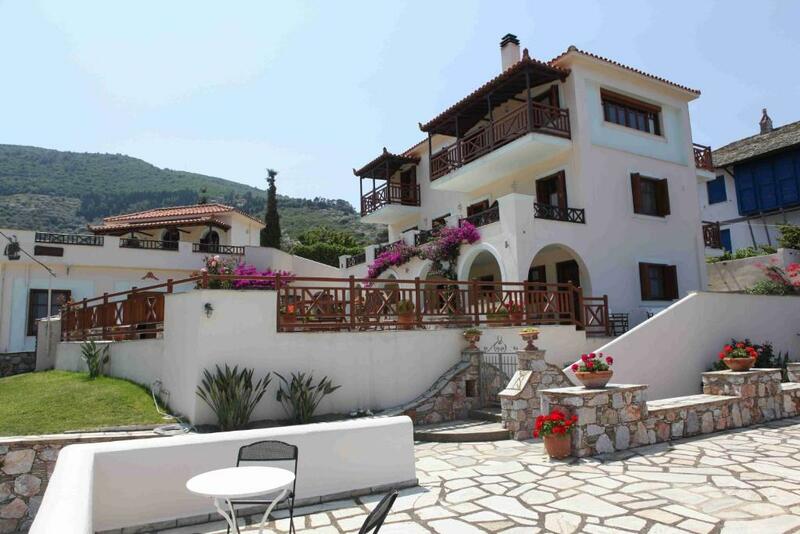 Just steps from the beach, Pleoussa Studio and Apartments is set on a green hillside. 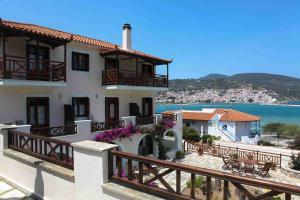 It features self-catered accommodations with free WiFi and views of the Aegean Sea. 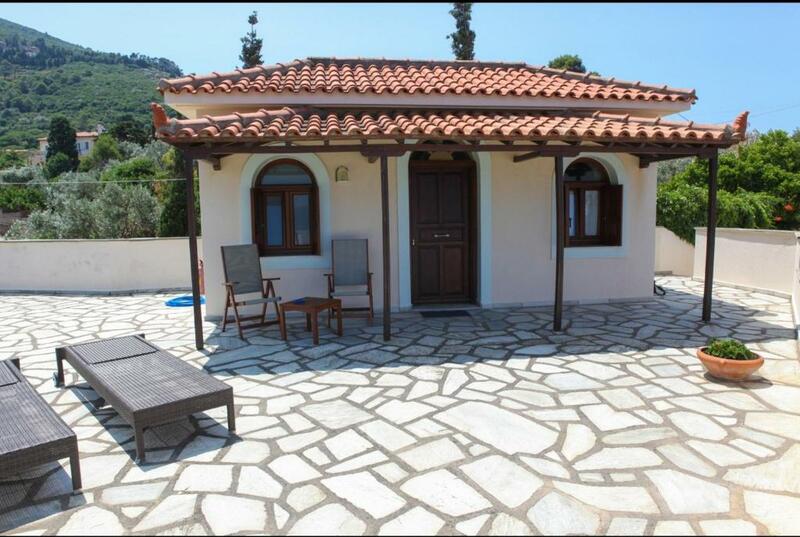 Traditionally furnished, the air-conditioned studios at Pleoussa offer a flat-screen TV and a private bathroom with a shower. They also include a kitchenette with kitchenware, fridge and cooking hobs for the preparation of your meals. A 10-minute walk along the sea side will lead you to the town of Skopelos. Supermarkets and restaurants are close by. Skopelos Port is at a distance of 2,450 feet from Pleoussa Studio and Apartments. 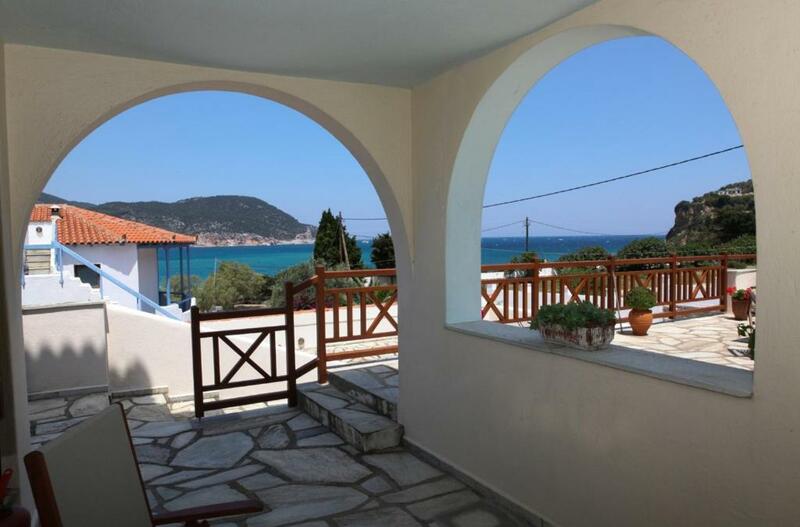 뀐 Located in the top-rated area in Skopelos Town, this property has an excellent location score of 8.8! 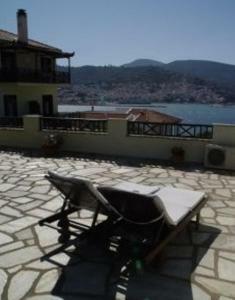 When would you like to stay at Pleoussa Studio and Apartments? Please note that some rooms feature a balcony. This apartment has a sofa, private entrance and seating area. 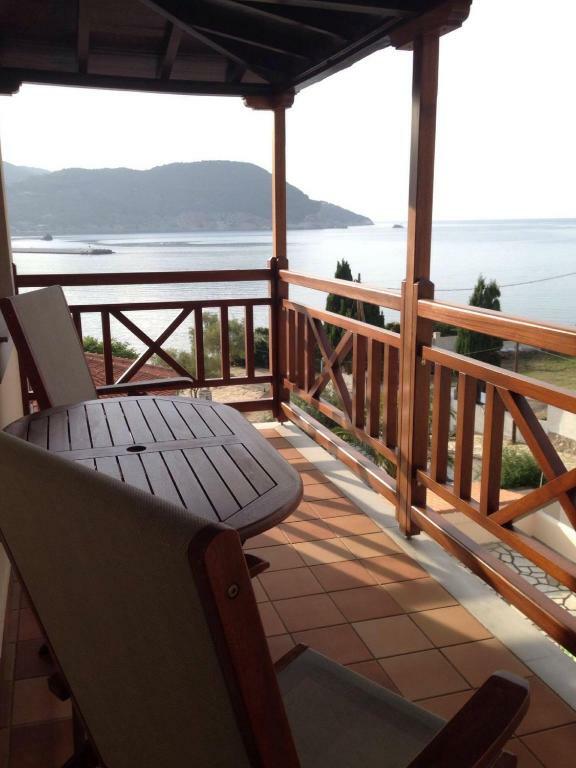 Opening to a large veranda with magnificent sea views, this twin room has a private entrance and soundproofing. This studio has a kitchenette and a sea-view terrace. This studio has a kitchenette and a sea-view balcony. House Rules Pleoussa Studio and Apartments takes special requests – add in the next step! Pleoussa Studio and Apartments accepts these cards and reserves the right to temporarily hold an amount prior to arrival. Please inform Pleoussa Studio and Apartments of your expected arrival time in advance. You can use the Special Requests box when booking, or contact the property directly using the contact details in your confirmation. The only thing that needed changing at all. The addition of a place to put the shower head, so you can stand under it. It would have been nice to have an iron in the apartment. Otherwise a fantastic stay on a gorgeous island! There is indeed a road between sea and studio. But quiet road. The parking is on the street, so a little bit narrow for passing by cars. The bath room was very little - shower without shower curtain - water all over the floor. Should have been more sockets. Very little kitchenware i.e cutting board ( for bread etc) and bread knife missing.